We're delighted to welcome multiple Rita® award winning author Barbara O'Neal (a/k/a Barbara Samuel) to the blog today. Barbara's newest book, The All You Can Dream Buffet, was recently reviewed here at TRD and received a Top Dish 5 Star rating from Janga. (Read her review here) Barbara lives in Colorado where, when she isn't writing, she indulges her love of the outdoors. According to her website bio, she loves " olive oil and peaches, good ale and gardening, big dogs and all cats. She's also a long distance walker who traveled a portion of the Camino de Santiago Compestela (in northern Spain) in 2010 and hopes to return to walk the rest. 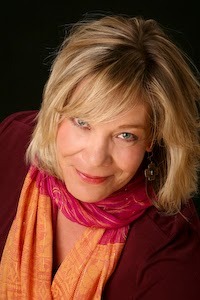 Find more information about Barbara at her website and connect with her online at Facebook and Twitter. Over and over, sisters and friends form the backbone of my books, and never has it been more true than in The All You Can Dream Buffet, in which four women at different walks of life come together at a lavender farm in Yamhill County, Oregon, one of the most gorgeous spots I’ve ever had the good luck to visit. The women are linked by their love of blogging, food blogging in particular, and have come together at the request of Lavender Wills, the 84-year-old owner of Lavender Honey Farms. She’s built an empire of lavender oil, honey and mead, and fresh eggs and hopes to find a worthy heir among the other three. I can’t think when I’ve had more fun with a setting. I visited Kookoolan Farms, an organic wonderland populated by fat gorgeous hens wandering the paths, and fields of organic vegetables, and a meadery onsite. Later in the day, I also went behind the scenes of a lavender farm, Willakenzie Lavender, where the knowledgeable owner illuminated all the subtleties of various forms of lavender, and how each variety is used. I inhaled their oils, shot hundreds of photos of the blooming fields and slept that night as if I were wrapped in blankets woven of lavender. Which is why this book carries such a gilded feeling. It was written from a place of vast love and enjoyment, and a sense that all of us are in charge of our own lives and can find second chances with the help of our friends. Ginny, a Kansas supermarket baker who has found some fame as a cake blogger, is caught in an unhappy marriage. Her friends urge her to take a gamble on herself by buying a vintage Airstream trailer, and when she sets out with her dog on a cross country adventure, boy does she ever find what she’s looking for! Ruby, the 26-year-old vegan of the group, has the sunniest nature in the world, despite her trials as a child whose mother fled when Ruby was diagnosed with leukemia. Now robustly healthy for more than ten years, Ruby is pregnant and has been dumped and desperately needs the nurturing of her friends. Val, a former prima ballerina with a troubled teen, is crossing the country to shed the expectations of a whole community. And finally, Lavender, the leader of the Foodie Four, is the kind of woman I think many of us would like to find within ourselves. A woman who lives life on her own terms, whether it is flying around the world and taking lovers at her whim, or ridding the farm of an orchard of hazelnut trees to plant the lavender she loves. She is a bold and happy woman and has a lot to offer the other three. I loved striding around the farm with her, pack of dogs jogging along. I loved hearing her bees sing and smelling the fields. Oh, she’s a joy, Lavender is. Of course there are dogs and food and lovely men in the book, as there always are. I can’t wait for you to meet the brooding and beautiful farm manager, an Iraqi vet with four tours under his belt who needs the land to feel whole again, and the charming trucker who befriends Ginny on the road, a charming dog lover who opens long closed parts of her heart—and reminds her that life is not always about duty. Hop on, let’s go for a road trip and meet our friends and fall in love and feast…..! Thank you, Barbara! Now I'm more excited than ever to read this book! Readers, tell us about women you've met online. How have they impacted your life? Have you met any of them in person? I met a great bunch of women on the community board of eHarlequin many years ago, but I'm still close to them. We call ourselves the Gal Pals. I've only met one of them though. Sally lives in Arizona and I live in Michigan. She came to Indiana to visit family so my family and I went and met her. We call each other "identical twins separated at birth by seven years." LOL When we cause a ruckus online we blame our alter egos, Sarcy and Mally. I feel close to all of the Gals and we're always there to support each other or to listen when someone needs to vent. I don't know what I would've done without these special women. Wonderful story! I love that you're twins. Donna, isn't it amazing the deep friendships we can form with people we've never met in person? I wonder if the inventors of the internet had any idea of the people they would bring from all corners of the world that they would bring together? I met a group of women on a Goodreads group. We haven't met in person but talk a lot about books. I email back and forth with a few women I've "met" on the romance-book blogs. I doubt we ever meet in person, as we live thousands of miles apart, but we do appreciate each other's presence in our lives. Laney, I have good friends in other countries that I'll probably never meet in person yet I count them among my best friends. I have met many wonderful woman thru a book swap site and actually did meet one almost 2 yrs ago while visiting in Calif. We have had many laughs and many of the ladies have been participating in my own bookswap during the Christmas Holidays and right now the Christmas in July swap. Sounds like a fun group! Hello and welcome, Barbara! This book sounds wonderful! I have met soooooo many romance-loving friends online, including the sweet and wonderful PJ and our just-as-sweet-and-wonderful former Dishes Buffie and Gannon. I'll never forget when the four of us shared a room at RWA Orlando. We had SO much fun!! welcome Barbara. Your book sounds captivating and enjoyable. I have met many book loving women whose cherish reading and are delightful. meeting women online has enhanced my life greatly especially so when I was enduring breast cancer treatment and needed encouragement and laughs. They provided me with so much kindness and made a huge difference. I have met 2 online friends irl! Both were great experiences. It's amazing how open you can be on the Internet and people you NEVER thought would be in any way like you respond saying, Yes! Me too! Marguerite B. I have met many authors on line who are generous with their books and I especially like Suzanne Beecher at Read-It-First@EmailBookClub.com. Since I started blogging over 5 years ago I have met so many wonderful women online. I keep in close touch with them through email, but I have never met any of them in person. I'm delighted that my newest online friend only lives one state away, so there is a very good chance we'll be able to meet in person sometime soon. Nearly a year ago, I took Barbara's voice class and met a bunch of sisters I never knew I had. The class group, now named the Mobsters, is all still togethe,fast friends scattered over the globe from Alaska to Ireland. Clicking that well with that many people at the same time is a once in a lifetime sort of gift, and we are very thankful to have it. Welcome, Barbara! I'm very much looking forward to reading this book. I've made some wonderful friends during my years on the internet. One group of girlfriends goes back 13 years to a message board for women over forty. After chatting almost daily on the board for over a year, we decided to meet for a girls-only long weekend in Chicago. NINETEEN women from all over the U.S., Canada and one who came all the way from Singapore met in Chicago and the rest, as they say, is history. That initial group dwindled to a core group of about 12 women. We've gotten together many times over the years in a variety of cities and still "talk" online almost every day. We've seen each other through marriages, divorces, births, deaths, job losses, new careers and life-altering illnesses. They are some of my dearest friends and I give thanks often for the day I wandered onto that message board. It's amazing how that happens, isn't it? What a great story! About 8 years ago, now, I stumbled onto the Eloisa James bulletin board and met a group of really fun ladies. That board is no longer up and active but I've followed my internet buddies through the years to numerous other boards and blogs (including this one, PJ!!) that continue to entertain, inspire and offer a special kind of friendship that comes from our shared love of books and reading! I've met a few (Hellie, Sin, Kim, Island Girl, and Eloisa herself) several times and each experience was awesome. I can't wait to read your book, Barbara. It sounds amazing. My only regret when picking up one of your books is when I get to the end and I wish there were more!!!! Thank you! The technology really does make partings much easier. I don't know how I survived without Skype! Irish, I made so many wonderful friends on Eloisa's board and have had the opportunity to meet many of them in person. EJ created such a wonderful, welcoming environment in which readers and writers could gather. Who knew way back then that we'd still be friends all these years later or that so many blogs (like this one) and books would come from those connections! I met a great group of girls from a photography message board. We learned a lot from each other. I never got to meet any of the ladies in person even though there was a couple that we lived close to each other. We had planned on it but with busy schedules never got together to meet in person. Can't wait to read your new book. I've enjoyed all your others!! I met a group of ladies on a photography message board. We learned a lot from each other over the years. Unfortunately with busy schedules we've never met in person but have talked about it a couple of times. Can't wait to read your new book. I've enjoyed your other books!! I only really interact with ladies of the blogs and they are usually pleasant and fun. I've never had a chance to meet anyone in real life but I would love to :) Thanks for the fun interview! Most of the women I have "met" on line are authors or bloggers. It has been interesting sharing common interests and learning about the craft of writing and the research they are doing. I have been lucky enough to meet a few of the authors and bloggers. It was enjoyable being able to connect a person with the online persona. Being able to visit with them in person was enjoyable and enlightening. 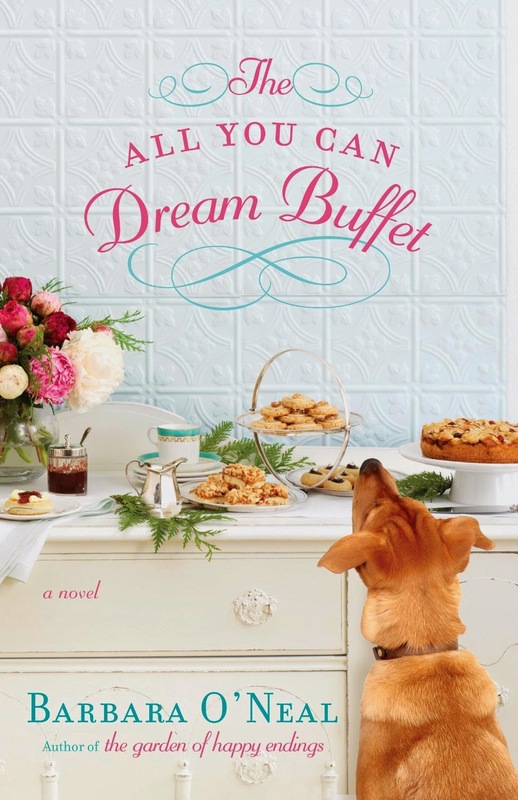 I have read a few reviews of THE ALL YOU CAN DREAM BUFFET and it sounds like it will be a most enjoyable read. Congratulations on the release. It appears to be doing well for you. I look forward to reading it. I HAVE NOT MET ANY ONLINE FRIENDS, BUT MADE MANY eFRIENDS ON BLOGS INCLUDING YOU, PJ. I'm sorry I missed Barbara O'Neal's visit yesterday. I can't say enough good things about The All You Can Dream Buffet. I loved it from the title to the final word, and I hope you all read it. As for online friendships, I will forever be indebted to Squawk Radio and the Eloisa James (later Eloisa James/Julia Quinn) bulletin board for introducing me to a group of women who continue to enrich my life in countless ways. PJ is the only one I have met face to face, but they are all dear friends who bless my life daily.